To coincide with the release of Kinect on XBox 360, UbiSoft has released MotionSports that leans a little more to realism as opposed to the more childish games on this new system. But just like Wii Sports on the Wii or Sports Championship on the PlayStation Move, multiplayer is the key to enjoyment here as single-player is unfortunately a little lacklustre. The premise behind this game is to use your body to interact with the Kinect in a variety of mini sport games. Needless to say, you will work up quite a sweat as you play these games such as Soccer, American Football or even skiing. So... if you can stand, move side to side, jump, duck and punch, then you already know how to play these games. The games included in MotionSports are American Football, boxing, hang gliding, horse riding, Skiing and Soccer. As opposed to Kinect Sports, the games are a little more realistic but the biggest drawback to this technology for now is the accuracy of the device. I've noticed that in many of the Kinect games, moving faster or punching fast rarely translates this well to the gaming world. But if you take your time, you will soon discover that the Kinect is more accurate as opposed to a Biggest Loser workout. The first game off the rank of American Football that I actually enjoyed. Even though you don't play a full game of American Football, they developers have cut a certain section from the real-game as you attempt to make your way towards the goal line. You need to avoid your sporting opponents by moving side to side and by ducking. Throwing, kicking and running are the goals in this game. Boxing works by punching, ducking side to side and attempting to beat your opponent down but unfortunately the accuracy is a little to be desired. For such a physical game, it's quite slow due to the pauses between your manoeuvres. 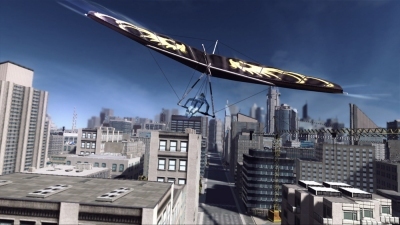 Hang Gliding is an "okay" game that requires you to use your arms to mimic the real-world actions of hang gliding as you fly up and down. By tilting to the left, it moves your glider to the left and of course to the right, you move towards the right. It's a very surreal game as you attempt to fly yourself to the landing goal. Horse riding looks great but unfortunately is rather dull. You basically ride around a course and compete in a variety of jumps in order to unlock medals. It looks good but plays horrible. Skiing works just the other games and once again uses your body to control the gaming avatar for speed and direction. You can even do some really cool jumps in skiing that does up the ante of the realism. Soccer is limited and allows you to kick or goal keep. Kicking is fun but trying to aim that ball is extremely difficult and is similar to other UbiSoft games in terms of accuracy. All in all, this collection of games are a bit of a hit and miss affair. However, as an incentive, each game has a variety of medals to be won that include bronze to diamond. Add in the ability of multiplayer which is the highlight of MotionSports and when you have a group of friends together, you can have some great but frustrating times. What sets this game apart from most Kinect games are the amazing graphics. Each sport is quite detailed and looks amazing on a FULL HD TV. 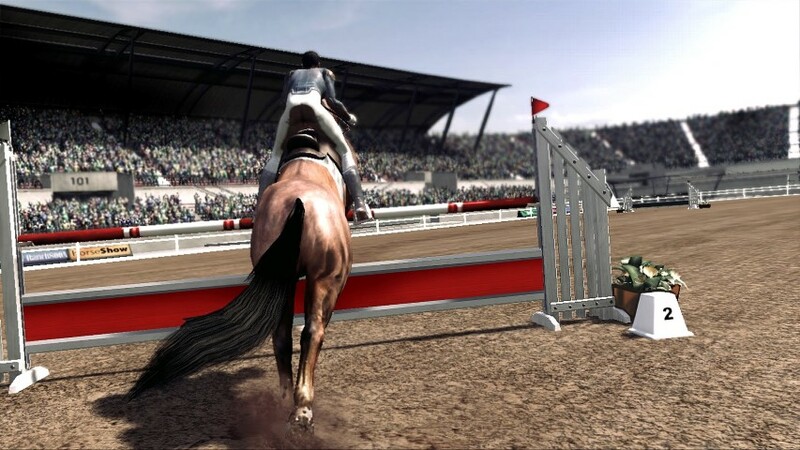 Whether its the realistic movements of the American Football players or the detailed hair on the horses, this game comes together rather well. I also like how the game incorporates snapshots of you playing MotionSports and puts them in the game. Add in a decent upbeat soundtrack and all the sounds of these real-world sports and it's not a bad gaming experience. It's unfortunate that controls are not that accurate. 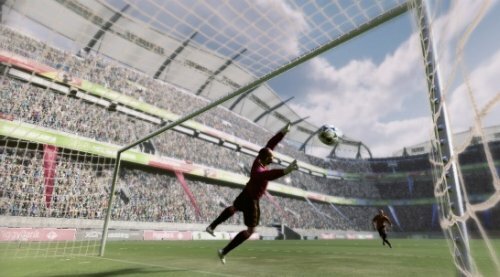 In conclusion, Ubisoft's MotionSports It may not be accurate as a Kinect Sports but it's a valiant attempt at the developers to create something unique. It may not have worked this time but hopefully the developers can fine tune the Kinect technology to create something unique and fun. Definitely a rent before a buy!